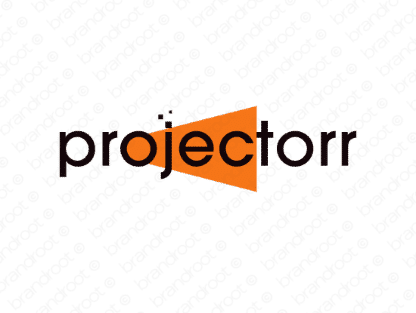 Brand projectorr is for sale on Brandroot.com! An imaginative riff on the word "projector" that adds a sense of energy and purpose. Projectorr is a clever match for a diverse range of media and tech related brands, ideal for multimedia streaming services or innovative video and photography focused technologies and devices. You will have full ownership and rights to Projectorr.com. One of our professional Brandroot representatives will contact you and walk you through the entire transfer process.